Flowing silk organza skirt and lace bodice with scalloped edges. The dress came as a strapless gown. 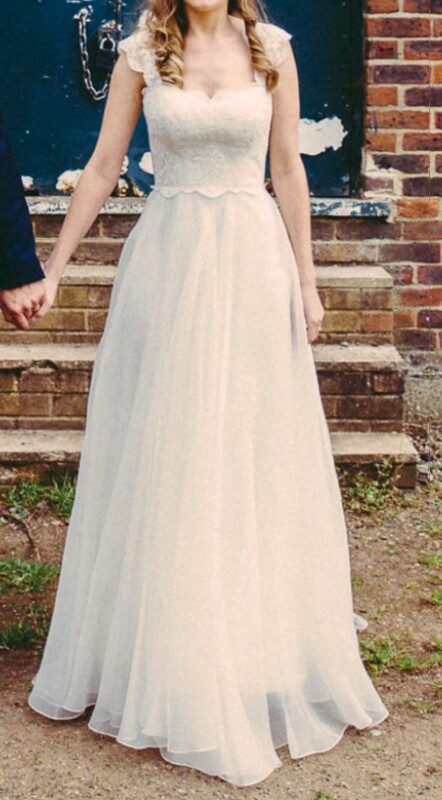 I ordered extra (matching) lace and had cap sleeves added to the gown which were structured into a V at the back. The straps could be removed by a seamstress if you wanted to revert to the strapless style. Cups were also added by seamstress.